ISLAMABAD: The Economic Coordination Committee (ECC) of the cabinet on Tuesday formally approved a prime minister�s directive for diversion of 85 million cubic feet of natural gas from electricity to textile units. A senior government official said the withdrawal of gas from power sector would have an adverse impact on electricity tariff because of resultant reliance on furnace oil when hydropower generation would come to almost negligible level in the wake of winter canal closure. 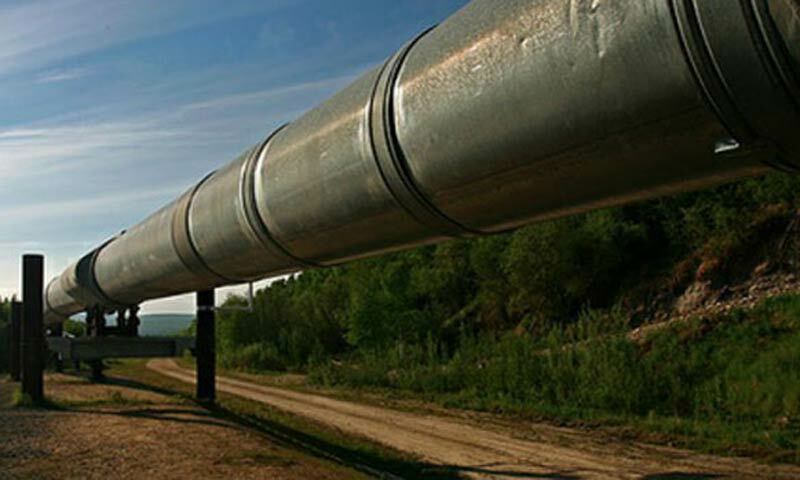 However, the prime minister on the request of influential textile tycoons had desired that additional gas be given to take an advantage of the grant of Generalized System of Preferences (GSP) plus status to Pakistan. The official said that because of export earnings, textile lobby always had a direct access to power corridors. He reminded that it was former President Asif Ali Zardari who always used to come to the rescue of textile industry for gas allocation in winter and now it was Prime Minister Nawaz Sharif who was taking decisions on gas supplies. �Argument of textile export remains the same notwithstanding a priority order of gas allocation already approved by the ECC that prefers domestic, commercial, power sector, fertiliser, industry and CNG and cement in that order. The official said the textile industry has been meeting the prime minister and the finance minister in Lahore over the last two weeks to ensure that captive power plants received maximum gas supplies despite a last week decision of Supreme Court to discourage gas supply to CPPs. Interestingly, these industrial units have agreements with gas companies only for nine-month gas supply compared with round-the-year gas supply contracts of power plants. The ECC decided to divert 85mmcfd of gas presently being provided to the power sector to the industry with immediate effect, especially to the export-oriented sector, to take full advantage of GSP plus facility granted to Pakistan recently. �The decision will check unemployment, maintain the present momentum of growth besides earning foreign exchange for the country,� the ECC argued. The ECC also decided to direct the National Electric Power Regulatory Authority (Nepra) to determine the power purchase tariff within 45 days for Hubco (1,292MW), AES-Lalpir (362MW), AES-Pakgen (365MW) and Saba Power (134MW). These power plants had entered into a MoU with the government to convert their plants from furnace oil to coal within 24 months when the government cleared the circular debt in May-June this year. The meeting was informed that once the above IPPs were converted to coal, it will result in saving of over Rs60 billion per annum. The ECC was told that boilers purchased for plants would have a provision to use indigenous Thar Coal as part of government�s policy of reliance on indigenous resources whenever this coal was available.